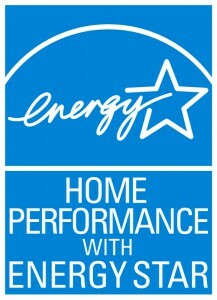 AppleBlossom Energy can rate your Energy Star home. You may have seen an Energy Star sticker on appliances and other items when you walk through a store. What exactly does it mean to have an Energy Star label, and why should you choose an Energy Star home? Home Energy Star Certification is a government-backed symbol indicating energy efficiency that saves money and protects the environment. An Energy Star home is one that meets specific building science measures needed to achieve high performance and low environmental impact. An Energy Star home begins with a tight thermal envelope created through proper air sealing and insulation. The next standard is using energy-efficient lighting and appliances, as well as a high-performance heating and air system. Finally, a water management system is installed to keep moisture away from the roof and foundation of your home. A third-party Home Energy Rater will then qualify the home for an Energy Star label. These measures help homeowners achieve lower utility bills, greater structural protection, improved comfort levels, and a higher indoor air quality. Apple Blossom Energy is a green company that believes in helping our customers conserve energy, lower utility costs, and improve quality of life. We are passionate about educating others because it allows us to spread the word about the effects of energy use on the environment, home durability, and your health. Our team is prepared to answer your questions about energy efficiency and the Energy Star Certified label, so you can see great results. If you are a builder who is looking for a highly trained envelope contractor, or a homeowner who would like to have an Energy Star label in your home, we can provide solutions that will meet your needs. We provide environmentally friendly, efficient, durable, comfortable Charlotte, NC homes! Contact us today for more information. At AppleBlossom Energy, we can install Energy Star products in Charlotte, Concord, Davidson, Harrisburg, Huntersville, and Mooresville, North Carolina.